established it as a popular and reputable international business center. road network and outstanding telecommunications, education and medical facilities. offering an exceptional quality of life for all ages and lifestyles. Cyprus has vibrant modern cities with shopping centers, gourmet restaurants and cosmopolitan nightlife. At the same time it also has picturesque villages with open air markets, traditional taverns and coffee shops, sandy beaches with crystal clear waters, world-class golf courses and state of the art marinas. Whatever your needs might be Cyprus has something to offer. The Cyprus Government, in order to encourage foreign investments, offers immigration programs with which investors can acquire residence permits or the citizenship of the Republic of Cyprus. • The unstable political environment in certain countries. • The extremely favourable tax regime in Cyprus. • The benefits of having EU residency or citizenship as Cyprus is a full member of the EU and the Eurozone. 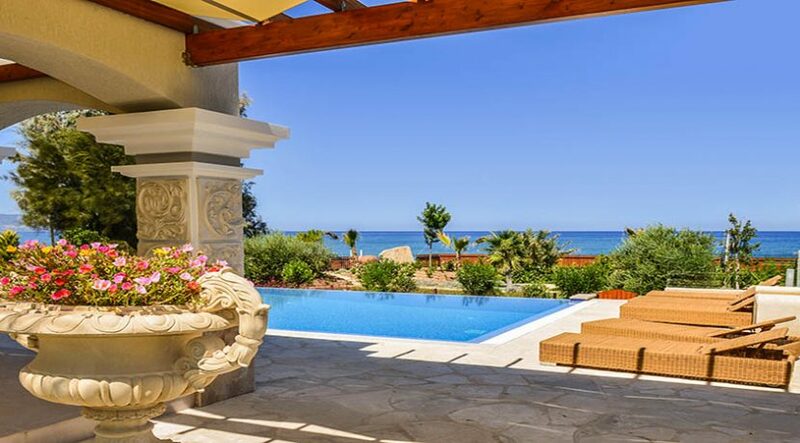 • The exceptional infrastructure of Cyprus which has established it as a reputable financial centre. and that they have adequate foreign income to support them and their families. may be sold after 3 years. Please note that the above programs also qualify the main applicant’s spouse and children for residence permits and citizenship. For more information please contact us. A Lifetime Residency Permit for you, your direct family, parents and even parents-in-law. All small investment in hassle free Freehold properties. – 300,000 Euro is the minimum investment to be illegible for permanent residency. ruled Cyprus under Richard the Lionheart, Limassol’s role as a trading center was linked with its production of wine and sugar cane. Today, Limassol is the second largest city of Cyprus and a well established international business centre which combines successfully the cosmopolitan lifestyle with the relaxed atmosphere of a costal resort. traditional taverns to top international restaurants, from modern shopping malls with high street brands to designer boutiques and from historic sightseeing to boat cruises along the coastline. Covered Area: 78-84 m² Covered Veranda: 8-12 m² . 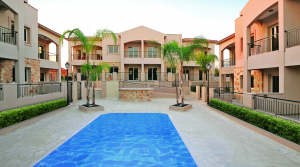 Other Features: Large communal spaces, gardens, swimming pool and gated entrance. 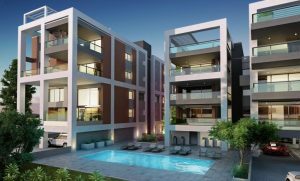 Park View Complex consists of 5 contemporary designed 3 storey apartment blocks amongst a beautifully landscaped setting adjacent to the city’s Linear Park. This is a unique investment opportunity offering very good value for money. The project offers easy access to the city centre, as well as, to the beach which is only ten minutes away. The drive to the two international airports of the island, Larnaca and Paphos, is approximately 35 minutes. 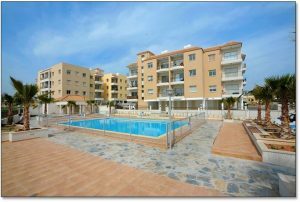 These properties are suitable for both permanent living and for holiday purposes. Covered Area: 120-208 m² . Covered Veranda: 18-38 m² . Other Features: Spacious duplexes and sky-villas with exceedingly high level of specification and finish, covered parking spaces. This project is so much more than a top-of-the-line collection of apartments. Each functions as a private estate designed to exceed and then redefine your every desire. It is the perfect representation of style, prestige and quality in today’s modern environment. environmental-friendly aspects with state-of-the-art provisions to create sophisticated modern architecture with astute urban design awareness. Located in one of Limassol’s most upcoming residential areas, it is the perfect representation of style, prestige and quality. Covered Veranda: 18-48 m² . Other Features: : High level of specifications and finish, covered parking spaces, storage area, roof-gardens. Situated in the heart of Limassol, this project stands at the intersection of design and sophistication as it sets the standard for Limassol luxury apartments. This stylish residential project offers excellent views of the city and of Limassol’s coastline. The apartments have been designed to provide residents with the ultimate style and convenience. Open floor plans and floor-to-ceiling windows create an ambiance of sophistication and infinite possibilities paying special attention to details that make the difference. sea views, large verandas, stone cladding, good quality of fixtures and fittings, storage room, quite residential area. This is a luxurious residential project situated in a prime location at Ayios Athanasios, an elite residential area in the suburbs of Limassol. 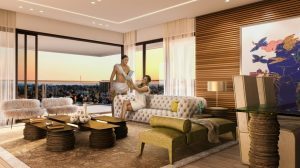 Occupying an exceptional site in beautiful surroundings, the project offers great views of the city of Limassol and its coastline. The beautifully landscaped open green areas that surround the site further enhance the concept of luxurious living in a peaceful environment. Limassol’s main amenities are just a 5-minute drive away and the Yermasoyia tourist area and beach 10. Other Features: Exclusive residential location, high quality interiors, communal swimming pool, storage rooms and covered parking areas. Yermasoyia features a unique atmosphere that can only be described as rural chic. The village itself successfully combines old-fashioned charm with cosmopolitan life. 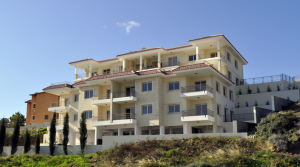 location on the outskirts of Limassol making it ideal for a holiday home or a permanent residence. The project is within walking distance from the local amenities and the sea while it also offers immediate access to the city centre of Limassol and the highway network. 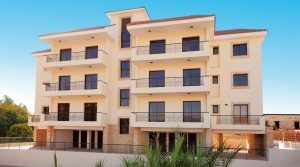 Other Features: Communal swimming pool and gym, complimentary membership of the Elias Beach Hotel Health Club Spa facilities, High quality of interiors. The location of this project, just outside the traditional village of Moni, offers peace and tranquility while it is only a 5 minute drive from St. Raphael marina and only a few kilometers from the centre of Lemesos.The project blends perfectly into its pastoral surroundings offering country living with a dimension of luxury. This complex of traditional rustic style properties creates an idyllic, self-contained oasis, complete with its own swimming pool and gym. 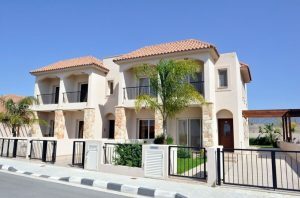 Purchase one of these properties and you will be welcomed into a long-standing community of Cypriot and expatriate residents who have recognized Moni as a place that can truly be called home. Covered Area: 109-140 m² . This project of fully detached villas and terraced houses is a contemporary development in the area of Moni, just ten minutes away from Limassol and five minutes from the beach. It is positioned in such a way to take advantage of the panoramic views across a completely unspoilt aspect of rolling hills and beach beyond. The location of this project, just outside the traditional village of Moni, offers peace and tranquility while it is only a 5 minute drive from St. Raphael marina and only a few kilometers from the centre of Lemesos. The project blends perfectly into its pastoral surroundings offering country living with a dimension of luxury. The complex of traditional rustic style homes creates an idyllic, self-contained oasis, complete with its own swimming pool and gym. Other Features: Large plot, optional private swimming pool, village style architecture, high quality of interiors, near Golf courses. This Villa is a part of a projects that consists of 26 beautiful villas and bungalows in the most picturesque part of Souni. The area’s main characteristics is the conservation of pine forests with spectacular sea views. Driving to Souni from Limassol you will come across ancient ruins. Special attention was given to the size of the plots and the properties were designed to offer comfort in a peaceful environment. The project is only 20 minutes from Limassol, not far from Pafos, the Troodos mountains and some of the best Golf courses on the island. Covered Veranda: 48 m² . Basement Parking: 94 m² . Other Features: Modern and luxurious design, state-of-the art security system, lighting, communications, entertainment, heating & cooling, central controls, landscaped gardens, drive in, private parking. 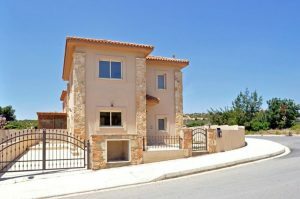 This house is built in an exclusive residential area featuring luxury villas on the hills of Germasogia, one of the most sought-after suburbs of Limassol. It possesses all modern facilities that a family needs to live in complete comfort. Its prime location combines elite living with the tranquility of rural surroundings and close proximity to the city center and the beach. In terms of design, the villa is noted for its modern character, style and high building specifications, enhanced with spectacular views of the blue Mediterranean Sea, the green valley and the mountains. Covered Area: 289-454 m² . Covered Veranda: 13– 20 m² . Other Features: Storage rooms, covered and uncovered parking spaces. This business center is designed to offer discerning professionals an ideal place to work. 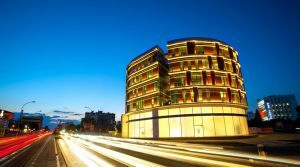 Its prime location appeals to companies that have recognized the advantages of Limassol as one of the best international business centers in the region. These superb offices enjoy a prime location by the sea offering spectacular sea views in the heart of the business center of the city. Each floor offers 528m2 of luxurious, open-plan office space designed and constructed to the highest specifications. This impressive business tower combines superior architectural design with state-of-the-art technology offering unique spaces with contemporary glass facades. The project also has a private rooftop club space which is the perfect place for meetings during the day or to relax in the evening and watch the sunset. The building offers over 472 m² of retail space on the ground floor, and more than 1,720 m² of contemporary office space over 4 floors.